Kvinna till Kvinna has supported women’s rights in Jordan since 2007. Jordan is one of the few Middle Eastern countries where the women’s movement has recently achieved major victories. Yet obstacles remain: women struggle to access work, are legally discriminated against and politically underrepresented. Reporting sexual violence is difficult. Female refugees in Jordan live under particularly tough circumstances. 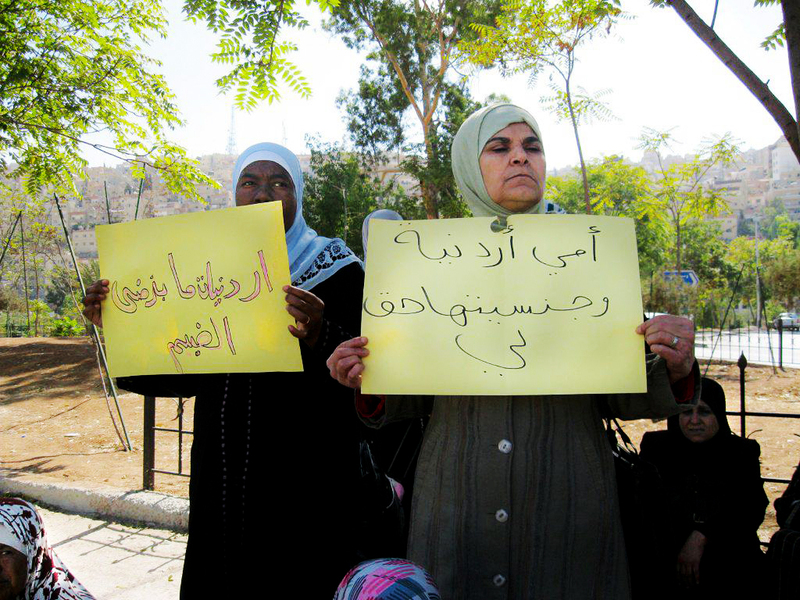 In Jordan, the women’s movement has achieved important victories. Despite these successes, several major obstacles remain. Legal discrimination against women persists in inheritance cases. Religious courts still tend to side with husbands in divorce and custody disputes. They have also condoned child marriage of girls as young as 15. Becoming financially independent remains a challenge for Jordanian women: just 33% of them hold jobs. Politically, there are relatively advanced quota to ensure women’s participation. But in recent elections, voter turnout among women was worryingly low. On certain levels, women made up as little as 1% of candidates running for office. Particularly vulnerable are women who have fled to Jordan from Syria. More than 740 000 Syrian refugees live in the country. Until recently, they had very little economic opportunity; now, Jordan is taking steps to help Syrians access formal employment. Our work in Jordan is conducted from our regional office in Amman. To protect women from being harmed by their family in revenge for “misbehaviour,” women may be imprisoned in Jordan. Our partner SIGI provides these women with legal support and acts as a mediator in their cases. Since 2016, SIGI has secured the release of 36 female prisoners.